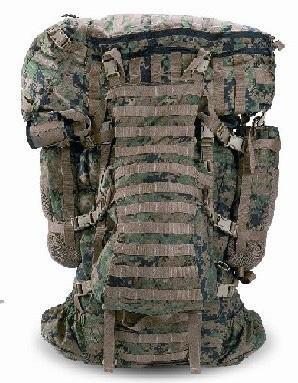 The Improved Load Bearing Equipment (ILBE) is a load carrying system designed to provide a durable and lightweight means for the deployed Marine to transport individual combat clothing and equipment, and replace MOLLE II. 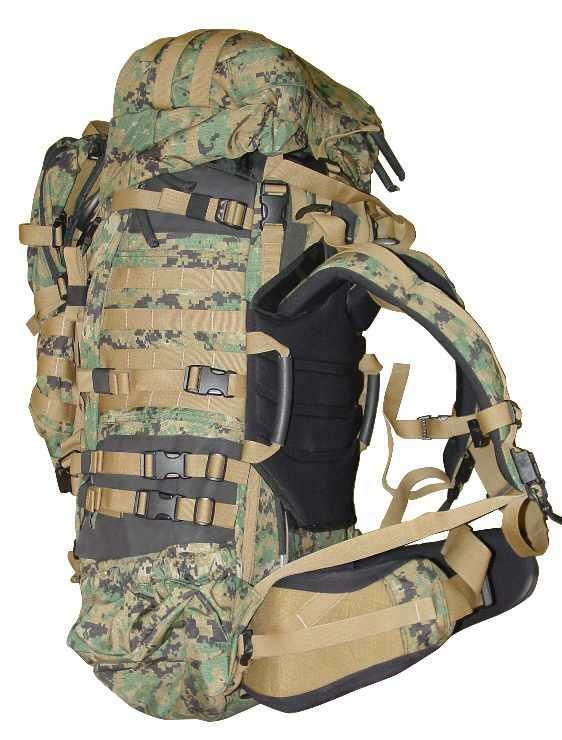 Major proposed improvements over MOLLE include durability, comfort of wear, reduced system complexity, reduced system weight and sustainability, and greater integration with the Outer Tactical Vest. 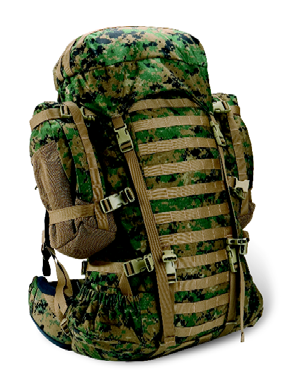 The ILBE system has two major components: the pack system and the Assault Load Carrier (ALC). The pack system is a modified commercial Arc'teryx Bora 95 pack. 4500 cu. in. 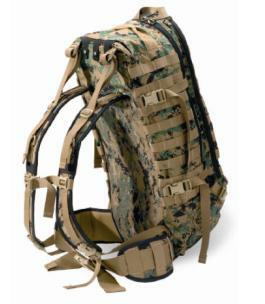 main pack has two side pockets with associated compression straps for irregularly shaped gear such as 60mm or 81mm mortar rounds, skis, snowshoes, or Shoulder-launched Multipurpose Assault Weapons. Reconnaissance ILBE System is a reconnaissance variant of the standard pack system designed to meet reconnaissance units mission requirements. ↑ Eward, J. Kenneth, US Marine Infantry Combat Uniforms and Equipment 2000-12, Osprey Publishing, 2012.